SBAcci is a leading consultancy to the global polyester industry and upstream feedstocks (PX, PTA/DMT, MEG, fibers, PET resin and film). SBAcci produces a unique worldwide macro-economic supply/demand, precise price/margin models, and reports on the global value chain, supported by individual company presentations. SBAcci also produces balanced supply/demand and consumption models for PET packaging end-use applications in the NAFTA region providing unrivalled details and perspectives supported by individual company presentations. Environmental Stewardship - We have full-time monitoring of the PET recycling industry. We specialize in recycle cost modeling and recycle technology analysis. Business Development - Our seasoned staff has broad experience in licensing, global business planning and development, material applications, engineering, polyester chemistry, resin production, container manufacturing, advanced decision analysis techniques, sophisticated business modeling, and more. Copolyesters – Among our staff we have extensive experience in copolyesters and specialty polyesters, including polyester oriented films. M&A Activity - The group is involved in business support for M&A activity, as well as single client work for investments and market research and acts as an expert adviser in legal disputes. Our detailed supply/demand, market share, cost modeling, and understanding of the end-use applications allows us to offer unparalleled perspectives, data and analysis. Manufacturing Cost Modeling – Our detailed and interactive cost modeling for the PET value chain (resin, containers, recycling) is used by brand owners, and package manufacturers as an excellent benchmarking tool. The cost models are also widely used to assist in investments/mergers/acquisitions. Latin America – A thorough understanding of the Latin American market is one of our specialties. We have life-long residents and career-long packaging experts in Latin America who study the market for our clients. Technical Container Analysis – SBAcci is the sales represntative for M-RULE™ Container Performance Models for Food and Beverage Packaging. This site serves as the portal to access M-Rule™ which is THE industry standard analytical tool for determining permeation and shelf-life. It is used extensively by package manufacturers, resin producers, technology suppliers, and equipment manufacturers. It is part of the package approval process by brand owners in several industries (food, beverage, brewing) with excellent correlation to real-world testing. Its use accelerates speed-to-market with confidence and minimal prototyping. 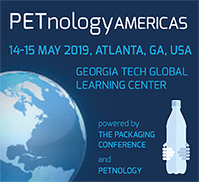 The Packaging Conference – The packaging industry's source for information where technology and market opportunity meet each year in early February. The Packaging Conference is jointly owned by SBAcci and Plastics Technologies, Inc.
We can tailor our Professional Services Division capabilities to concentrate on your unique needs and requirements. John C. Maddox is President of SBAcci and focuses on supply/demand, end-use demand and commercial issues for PET resin/packaging. John’s entire 34-year professional career has been in the PET industry – from resin producer, to container manufacturer, to consulting. SBAcci is supported by dedicated associates in recycling, technology and feedstocks to support the NAFTA programs. Steven L. Ates is Managing Director. Steve has experience in industrial chemicals, the polyester fiber industry, the PET resin industry, and the PET recycling industry. He has extraordinarily broad experience in technical sales, polyester production, raw materials negotiations, converter/brand owner interface, and the highest level of industry management. Steve has travelled extensively throughout his career and conducted business in Asia, Europe, and the Americas. Steve concentrates on the firm’s World Polyester Research Program – a thorough and complete analysis of the entire polyester value stream. Patrick L. Bouzekri is the Vice President for Europe, Middle East and Africa. Patrick joins the consultancy after 14 years of experience in the Fast Moving Consumer Goods (F.M.C.G.) industry with the global leader of bottled water. This experience gave him in-depth exposure to PET resin, PET preforms and PET containers. He has further experience in International Business Development and High Performance Coaching and Leadership. Patrick will focus on Europe, Middle East and Africa and expand our existing World Polyester Research Program, which is a balanced model of supply and demand for global polyester raw materials (PX, PTA, MEG) and the global production and consumption of PET resin. Patrick’s vast experiences on the procurement side of the table brings a fresh perspectives to our clients and to our understanding of the industry. David D. Cornell, P.E. is Director of Engineering & Recycling. He is a world renowned expert on environmental stewardship and PET recycling. He is the author of the definitive study on PET recycling technology and cost comparisons between metal, glass, and plastic containers, and holds 15 patents. Dave has broad experience in PET resin production and manages our plant audit, engineering and evaluation services. He is a frequent peer reviewer for life cycle analysis studies. Ing. Alfonso Vaca Nava, Vice President, Latin America, is a seasoned veteran of the plastics industry in Latin America. He has strong industry connections through his work with NGO’s and various industry companies. He is in high demand for his market knowledge and as a dynamic presenter at industry events. Alfonso is the co-author of the definitive study on Latin American PET Markets and Opportunities. Residing in beautiful San Juan del Rio, Alfonso is responsible for customer development, technical audits, and project evaluations in the PET packaging industry and recycled PET processing. Ing. Alfonso Vaca Nava Vicepresidente Latín América, es un experimentado veterano en la industria del Plástico y del Empaque en Latín América. Ampliamente conectado con personalidades en la industria y el gobierno a través de su trabajo con ONG´s y varias empresas de primer mundo. Su participación es muy demandada por sus conocimiento del mercado y sus presentaciones dinámicas. Alfonso es co-autor de un importante estudio de los mercados y oportunidades de la industria del PET en Latín América. Actualmente residente en la histórica y colonial ciudad San Juan del Rio, Querétaro es responsable del desarrollo de de clientes, auditorias de técnicas y evaluación de proyectos en la industria del PET desde su fabricación hasta su aplicación en la industria del empaque. Henry Gonzalez, Ph.D., Director of Business Modeling & Analysis, has vast experience in engineering, polyester chemistry, resin production, container manufacturing, recycling technology, advanced decision analysis techniques, scenario analysis, sophisticated business modeling, and much more. SBAcci clients work extensively with Dr. Gonzalez for single-client, strategic business modeling and analysis projects. Mark Rule, Ph.D., Director of Chemical & Polymer Development, owns his own very successful technical consulting business, Container Science, Inc. Mark is the creator of the M-RULE™ Container Performance Models for calculating package shelf life and works closely with SBAcci on projects that require his expertise with chemistry and polymers. He holds in excess of 75 patents. Fred W. Voigt, Jr., Director – Emeritus, created Container Consulting, Inc. (CCI) after a full career as the market analyst for Eastman Chemical. He has a brilliant mind for the PET industry and continues to be a valuable resource and sounding board for all of our business dealings.